Chapel Performance Space; co-presented with Seattle Improvised Music as part of the 23rd annual Seattle Improvised Music Festival. 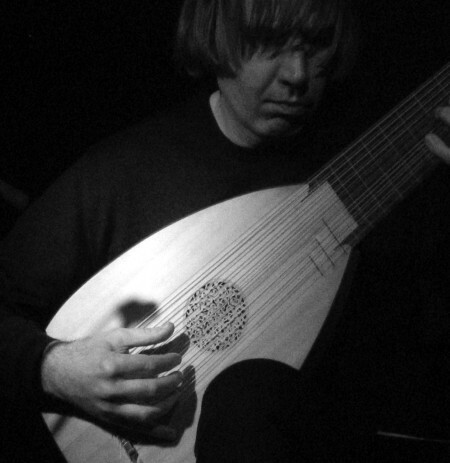 Dutch musician Jozef Van Wissem plays perhaps the most unlikely instruments in the world of contemporary improvised music: the Renaissance and Baroque lute. He has accomplished the odd feat of bridging the idiom of seventeenth century lute literature and twenty-first century free improv of the silent type. Well-versed in the traditional lute repertoire, he also composes his own pieces for lute, using palindromes and mirrored structures. Tetuzi Akiyama is a highly unique and experimental guitarist heavily applying free improvisation and noise. Akiyama started playing electric guitar at the age of thirteen. He later became very interested in free improvisation and classical music. Since 1998, together with Sugimoto and Toshimaru Nakamura (no-input mixing board), he has been organizing the important concert series, The Improvisation Meeting at Bar Aoyama (renamed The Experimental Meeting in ’99, and Meeting at Off Site in 2000).